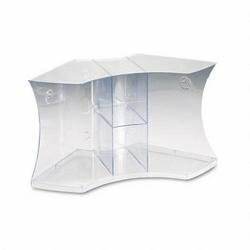 Create extra storage space in office or cubicle corners. 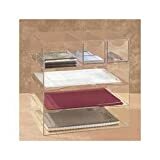 Binders, catalogs and books can be easily accessed from either side of three center-stacked shelves. Center compartments hold staplers, tape dispensers, note pads and more. Dividers keep contents upright. Utilize the top as a shelf for additional storage. Desktop or wall mountable. 26-5/8w x 3-3/4d x 11-1/2h. Designed to utilize vertical space and features extra thick walls for maximum durability. Plastic. 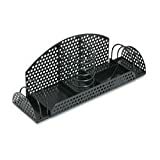 Ample storage for a multitude of office or mailroom supplies. Sits on any side or wall mountable. 17w x 3-5/8d x 13-1/4h. Designed to utilize vertical space and features extra thick walls for maximum durability. Plastic. 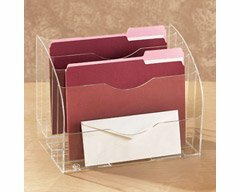 Three trays hold letter and A4 size documents. Top tier has three sectionsone mail size and two 3" square supply sections with fully removable drawers. 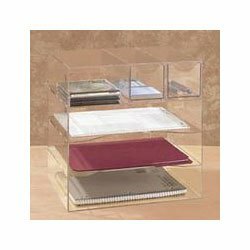 Versatile organizer can be placed on desktop on any of four sides, or wall mounted. 13-1/4w x 13-1/4d x 10h. Designed to utilize vertical space and feature extra thick walls for maximum durability. Rounded, tiered design allows for easy file retrieval. Pockets hold letter and A4 size documents and folders. Stand upright, lie flat or hang on a wall. Easy accessibility to frequently referenced information for maximum productivity. Universal bracket mounts unit to deskstand or wall. Includes wire-reinforced, color-coded pivoting pockets (TFIP090), also sold separately, snap-on index tabs and mounting hardware. Expandable to 30 pockets (Wall Unit, TFIW291, is required). 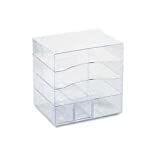 Top tier has three sections-one mail size and two 3" square supply sections with fully removable drawers. Versatile organizer can be placed on desktop on any of four sides, or wall mounted. Mesh design adds style, efficiency and productivity to your desktop. Multifunctional organizers stack vertically and/or sit side by side to utilize desktop space. Unique perforated metal and wire design gives your desk a new contemporary look. Unique contemporary design brings designer styling and organization to your desktop. Attractive perforated metal end panels and sturdy wire construction. 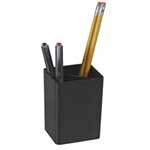 Four sorting compartments for letters, media, or notes combined with a pencil cup, 3 x 3 note holder (pad not included), business card holder, and two compartments for small accessories. 13w x 4d x 4-5/8h. Organize your desktop with the fun, contemporary flair of our Pizazz desk accessories. The combination of smooth and textured finishes and sleek angled lines add to the unique look of this desktop line. Provides ample storage and easy access to contents. Holds pencils, pens, scissors and more in two compartments. 199. 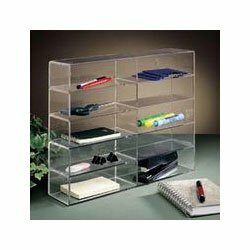 Quartet 5-Panel Rotary Organizer For Prestige Board Systems, 15 1/2in. x 13in. 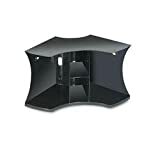 Two easy mounting options include a cubicle mount bracket that fits into the seams of the cubicle and an adjustable hanger. 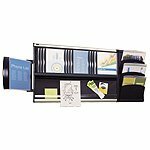 QRTOW36 and QRTOW48: Workstation Visual Organizers include two organization tracks to hold folders, 12 frosted folders hold up to 25 sheets of paper, a tackable foam bulletin strip, 1 bulk file pocket (48" organizer only) and cubicle mount hanging system. 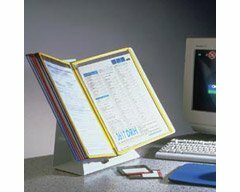 QRTOWT3: Workstation Visual Organizer Track, 36" size (available separately). 200. 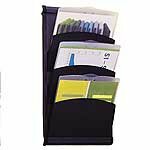 Quartet File Pocket Organizer For Prestige Board Systems, 12in. x 24in.